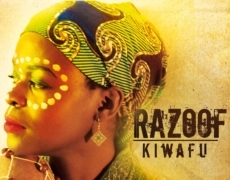 Razoof’s new album KIWAFU out now! A lot of dreams came true when Razoof featured Reggae heavyweights like Luciano, Luton Fyah, former Black Uhuru frontman Mykal Rose as well as Studio One legend Cornel Campbell (a.o. Rhythm & Sound) and ‘Toasting’ innovator Lone Ranger on his 2014 album ‘Jahliya Sound’. Since then, he has produced his new album ‘Kiwafu’ in Cologne (Germany), Kampala (Uganda) and Kingston (Jamaica) and features singers from all over the world, like Keida, Jahcoustix, Naptali, Lady Slyke, Binti.Afrika, Dactah Chando and Hermano L.